How much does experience matter when selling your home? 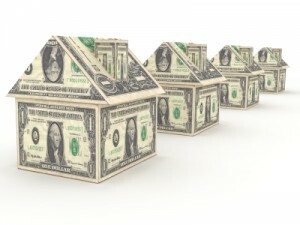 According to a recent article in the Wall Street Journal, about 12% of the price of your home. In other words, experienced agents sell homes for an average of 12% more than rookie agents. The figure is based on a study by Bennie Waller, professor of finance and real estate at Longwood University in Farmville, Va. A "rookie" was defined as an agent with less than 2 years experience. From the article: "The more experience you have, the more likely you are to sell the properties that you list, the more likely you are to sell it at a higher price and the less time it stays on the market," Prof. Waller says. Prof. Waller became interested in quantifying experience when he noticed an increasing number of agents who chose not to renew their licenses after two years. Real estate has "very, very, very low barriers to entry," he says. But brokers then face a steep learning curve and many struggle to reach a level of expertise that is profitable, he adds. Two-thirds of properties listed by veteran agents sold, while only half of properties listed by rookies did. That 12% works out to about $25,000 for an average home. If your home value is above average, obviously that 12% can amount to much more money. Unless that amount of money doesn't matter to you, then it would certainly behoove you to consider your real estate agent's experience when selling your home. If you're considering selling, have an experienced agent complete an Comparative Market Analysis to determine how much your home is worth by clicking here.